This book, entitled PLUS DE FRUIT' in the French edition, is a treatise on Hebrew 12; it traces the operation of divine discipline in the lives of some of the greatest men of holy Scripture; it demonstrates how this discipline produces in their lives that which God wishes to find, called in John 15 FRUIT'. The style is straightforward and readable, suitable for young and old alike. It will help the reader to recognize the divine Hand in the sorrows and setbacks of this life, and will show him the sort of objective God has in mind in allowing such experiences. 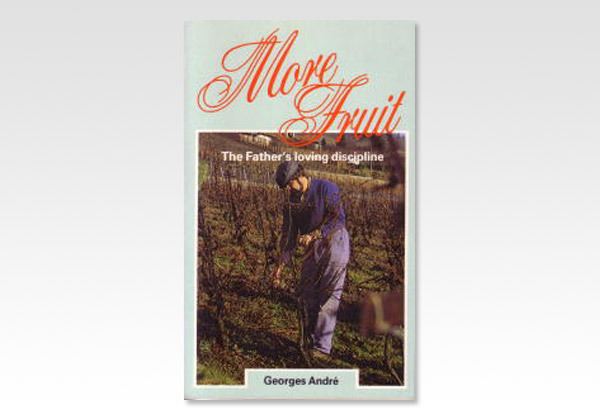 Monsieur Georges Andre is well known in French-speaking Christian circles as a writer of practical Bible based ministry. Several of his books have already been published in the English language in North America and are available in Britain.